About Us – JT Manufacturing Corp. 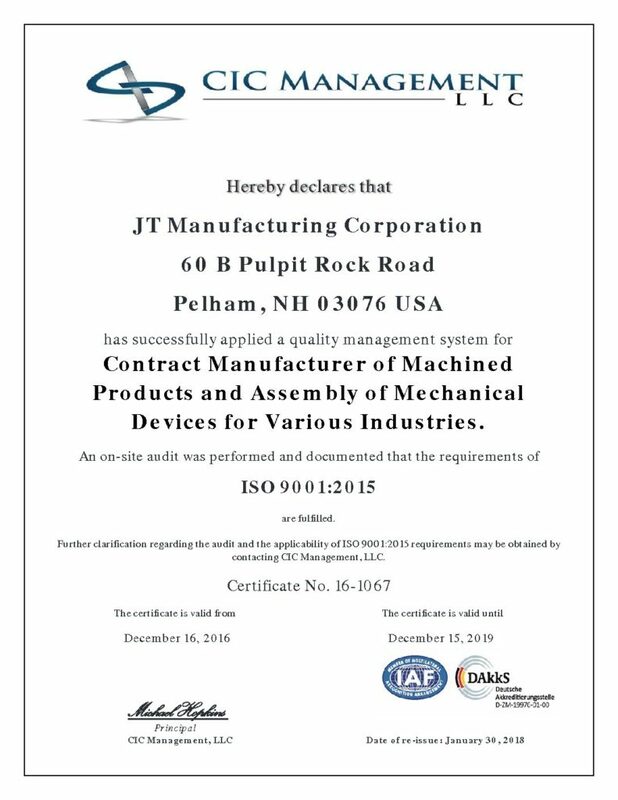 Located in Pelham, New Hampshire, JT Manufacturing Corp. has over 30 years experience in the defense and commercial precision machining industry, as well as the electronics assembly industry. We have built a reputation for quality, reliability, responsiveness and on time delivery with all of our customers. Our Quality Assurance Department is approved by all of our customers and is ISO 9001 registered. We have the equipment and manufacturing system to ensure good quality, but more importantly, we have dedicated employees with the experience and the motivation to guarantee it. 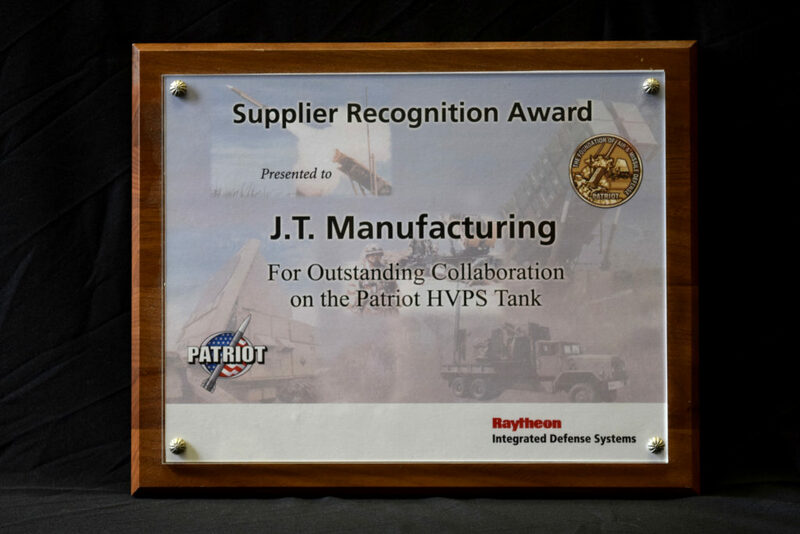 JT Manufacturing offers quick and accurate manufacturing of machined components, combining your design ideas with our technical and manufacturing expertise. With our diverse types of machinery and personnel, we are able to handle high volume production as well as short runs. For those parts that do require secondary services, we are equipped to handle many of those services in house and have assembled the best suppliers for certain other services thus we are able to offer you a complete part. By knowing the importance of making a quality product delivered on time, and at a reasonable price, we have grown to be relied upon by some of the largest companies in the country and the world. Our reputation has been rewarded with numerous vendor quality and delivery awards. At J.T. 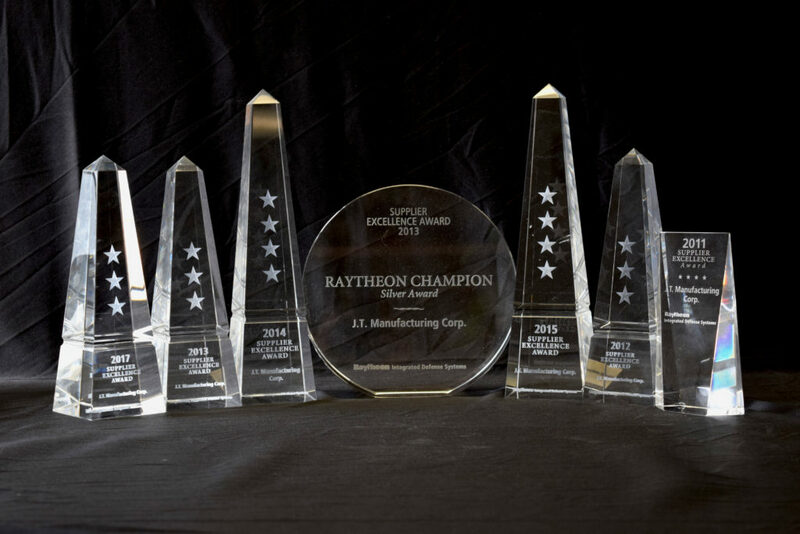 Manufacturing, we take pride in our achievements. More importantly, we take pride in the work we do for you!